i will send you image, and here I have other link were they did 4,9 s 0-100 and 11,2s 0-160 and 0-200 17,8 s.
Administrators should update this article with correct numbers. 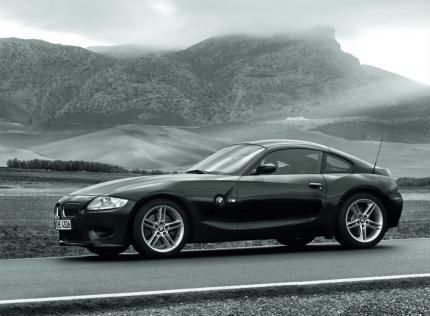 more times for lap´s z4 m coupe???? The Mcoupe dryweight is 1385 kilo. in Germany they 'add' 100 kilo on paper in form of a driver weight. btw the M3CSL dryweight is 1340 kilo. Yet again, 0-60mph IS NOT 0-100kmh, its not much of a difference but it is 2mph difference, just another example why we should add 0-60mph and 0-100kmh. O yeah, and 0-60 is 4.7 and the 1/4 is 13.2 at 107 tested by C&D, faster times if interested>. Should the weight not be 1495kg? I don't partly because I'm in the US and don't see too many tests in metric. I just wish we had a way to even out comparison feature you know? 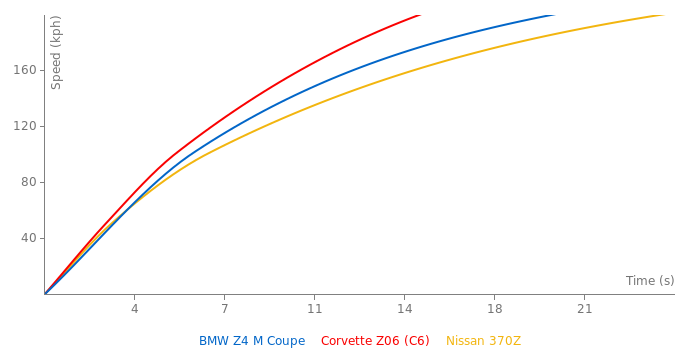 Am I the only one here that thinks its hysterical that the coupe version is listed as 1.6 seconds slower than the roadster in the 0-200km/h and 0.3 seconds slower in the 0-100?